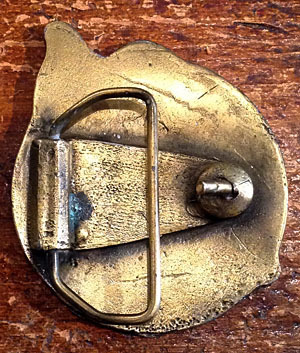 Vintage Belt Buckle. 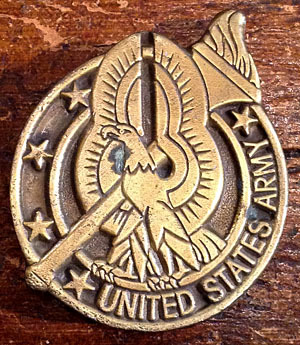 An American eagle sits perched with its wings outstretched, holding a flaming torch with the words "Unite States Army" written around the eagle with some stars. Specially made For the rock'n'roll military man. Lighter Brassy finish. No marks or text on the back.